"Defacto resource for Social Sentiment Intelligence"
Two primary facets of NUVI stand out: their customer service is stellar. Very quick to respond and never take their customers for granted. That goes miles for me. Second is the graphic nature of the main panels used to delineate what the exact trends are. They are inherently easy to turn into reports. I dislike what I cannot have from any supplier of such services: Facebook and Instagram data. As a caveat to that statement, I would hope that NUVI is working on a way of integrating a convenient method of automatically replicating a simple keyword search on either of those platforms. They say its not something the API allows them to do. Hopefully, in time, that will change. the other issue is the "intelligence" of the search parameters. This is an age-old issue that is relative to the specificity of your terms themselves. For NUVI to go from a 7 to a 9 or 10 in my book, they would be absolutely fastidious in their onboarding process when it comes to making the searches as applicable as humanly possible. First and foremost, this is not a magic bullet. Anyone who misrepresents themselves as otherwise (and there is no shortage of them) should be crossed off your list with all intentional speed. NUVI is a highly effective method of intelligence gathering for social sentiment, but suffered the slings and arrows of Facebook's (and subsequently Instagram's) curtailing of data aggregation to public and "friended" accounts. This is not a NUVI-centric change - it is a universal one. That said, your job doesnt change. You still have to gather what data is available. You still have to draw logical conclusions. NUVI is, as aforementioned - one of the best ways of doing that. Once your monitors are set up and the search terms filtered, the trends in data become relatively self-evident. I have an immeasurably better feel for what my customers care about, and why. At the end of the day, that is precisely why we engaged them to begin with. As a manufacturer, that data is worth its weight in gold. To me, the best part of NUVI is their customer service. They take the time to go through everything you could possibly want to go through to make sure you are getting the most out of NUVI. The last call I had with someone they taught me uses for NUVI I had no idea were even possible. It can be a complicated program, but they will walk you through everything you need. I think the only thing I dislike about NUVI is that it isn't the perfect fit for my specific tasks, or at least it hasn't seemed to be in the past. After a phone call with someone from NUVI I do feel that it might be a better fit than I thought. I think I must have just not been using it to its full capacity. I would make sure that you know exactly what you want to get from NUVI than talk to a sales associate to see if the product will help you do that. The things it does, it does them very well. You just need to be sure it's the right fit for your company. I have mainly used NUVI to track hashtags we have used at different conferences we have hosted. I now am planning to use it to find influencers we can work with and find the best topics and types of posts for the audience we are trying to fit. "Our experience with Nuvi the first year. " I truly like the platform as it is an upgrade from what my company was using previously. We recently met our support rep Jonnie, and she is incredibly helpful and insightful. Prior to us being introduced to our new rep, we would chat the customer support line and would get help from another team member. The only thing we are not a fan of is the constant updates, we know that updates are inevitable, and moving forward now that we have a single rep as our main point of contact she can help us navigate through the changes. Would like to see if the future emails sent to admins of any social profiles that get disconnected. That would be useful. It's the right move, I highly recommend. A single platform for us to share articles amongst our client's social pages and monitors so that we are informed of any mentions we create. We are looking into the monitor feature in the upcoming weeks. "We couldn't live without Nuvi!" This is a must for any marketer in the social/digital space looking for a powerful social listening tool. "Robust social media tracker "
The dashboard provides robust and easy to read data in real-time, which is valuable for our many digital events. The interactive generated reports are useful when our team needs to report out to partners, funders and others outside of the digital/social media space. Customer service is A+. Sometimes rule creation can get tricky when you are trying to track multiple or specific queries under the same tracker. Lack of access to robust Facebook and Instagram data is always a sticking point, it's understood that NUVI is working through limitations from those platforms. Would also love to see all countries a particular conversation is happening in without having to download the full CSV file. RIght not can only see the top 10 in the dashboard. The cap on mentions can be tough for organizations like mine with a smaller, non-profit budget but are having to track wide global events and conversations online. We're using NUVI to track data on our digital events and conversations. It is helping us send back more robust data to our partners and funders and identify opportunities to engage high-level folks talking about our issues. "Huge potential thrown away with lack of innovation and changes they can't explain from day to day"
I'll admit it is easy to use, but whats the point if the data just isn't there.....they fell way behind and that is the reason I happily canceled. Limited data sources (they'll try to tell you otherwise, but if you run ANY other tools vs NUVI at the same time, you'll see these guys barely scrape the surface. I had 5 different Account Managers and the person who sold me the tool is gone (along with the 3 that came after him since the company was acquired by some publishing tool they tried to sell me for way too much. Pricing is way to high for what they offer. They act like they are in the same field as BrandWatch and NetBase, when in reality they are closer to a nicer looking Hootsuite. IF YOU NEED DATA - STAY AWAY FROM NUVI! IF YOU DON'T NEED THE HASSLE OF DEALING WITH MESSY CONTRACTS - STAY AWAY! WORST business decision we made last year was committing to a contract. Unfortunately this company is not headed in the right direction. The lack of innovation and constant technical issues they have with the tool is damaging to clients. Our account representative, Jonnie, has been absolutely great! She is on top of it and has reached out to me to help me with whatever I need help with. I think understanding all the data can be a little overwhelming. Set up definitely needs help with a rep, which you offer so thank you. We are picking up other tags from other companies and it can be hard to filter through that as well. We are using this system to report to our clients the social media impact they have, which is what they are paying us to do, so yay. "Incredible Software for Listening & Engagement"
Scheduling software is incredible. Monitors for listening are easy to setup, tweak, and utilize for proactive engagement. Reports are the best I've ever seen from a listening software company. Also, the BEST part is the Client Success Support manager (Amberlyn) assigned to my account! She made me an expert in a matter of weeks, showing value and ROI to my company for utilizing NUVI as well as helped me go from learner to strategic user within a month! I can't recommend NUVI enough! Whatever I disliked was fixed (originally no video upload capability - now they have it; originally no calendar visibility across users from the same account - now they have it). Whatever issues I had, I was able to voice to the developers themselves and saw it implemented within months! Amazing! I manage social media MYSELF for a nation's top 50 New Home Builder. NUVI allowed me to not only optimize my efforts, but duplicate myself in regards to social media publishing, creative, and engagement by listening to what users and competitors are saying and taking a competitive advantage. NUVI took our Facebook group from 15K followers to 26K followers in only 4 months as well as drove more sales YTD than all last year's social media was able to harvest! We have been notified of negative posts and feedback quicker through NUVI notifications than any other platform is able to deliver. "Great Tool with Great Expierence"
I’ve had the pleasure of working with Sydney & her team the last 2 years and couldn’t be more happy with their knowledge and customer service. What I like best is the capability that the AI has. It becomes smarter over time allowing for more accurate social listening data. There isn't anything that I don't like. My account team has been very helpful from day 1. I'm pretty good at learning the ends & outs of software so learning to use the system was pretty straight forward. 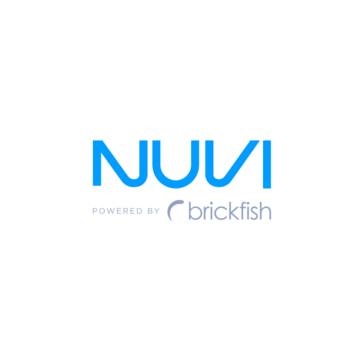 Check out Nuvi. It integrates with Facebook, Twitter, Google+, Linkedin as well as many more. The social monitoring AI is very slick, and keeps it easy to keep track of all your engagements (Social Monitoring) throughout Social Media. Not only that, it has the ability to post, schedule your social media content from inside its dashboard. Social monitoring, reputation management with audience insights. This is a data machine if used correctly. The data it provides over time will allow you to optimize your social media strategy. "Do NOT Sign an Agreement with NUVI"
Absolutely Nothing positive to say about my short lived, high cost experience with NUVI. They only do a demo and will not let you "test drive" the product before you sign a contract..... I wish I had never even found out about NUVI, I basically spent the savings I was using for my 10th anniversary vacation to buy out my contract, worst business decision I ever made! After using their tool for 30 days I discovered there were limitations and my small marketing team could not automate much of what we needed to. I wanted to cancel the service but they were unwilling to do so, yes I signed a contract but at the end of the day their product did not streamline the process like they initially said it would. In the end I am PERSONALLY paying the contract off, as it was my fault I signed a contract and will not charge my company for it. Bad customer service, bad Karma, bad company! Not much anymore. They changed their software but arent servicing the current version yet Im stuck paying for a service that doesnt work! Instead of monthly billing, the are so desperate for cash that they want a lump sum payment of $5000, an increase from what I'm paying now. Their customer service is non-existent and I have serious doubts about the longevity of this company. Beware of the 1 year commitment and their requirement of cancelling in writing 30 days prior to your rebewal date. None right now since I am not getting alerts or data that I am monitoring. Im essentially burning money. The company was better and then 2016 happened. Ive gone through a handful of account managers and now am assigned to a team. There's no customer service, their social media presence is horrible (for a company that's supposedly an expert in this field) and their product is broken. "Flexible tool with great customer service"
Customer service has been consistent - knowledgeable and adaptive. Even though we've had different reps in the more than four years we've had the tool - all have been excellent. Limited Facebook API - but we understand that all listening tools have the same limitations. Ease of use, great customer service. Displays well to clients. Reputation management and influencer nurturing. We track URLs with the tool to get a head-ups on substantial mentions in trade pubs. "Awesome Monitoring and Listening Tool"
There are many great features that we like about NUVI. We initially purchased this tool just for listening/monitoring but have learned to do so much more with it. We have the best account manager, Shae'la, who goes above and beyond to explain and answer any questions we may have. With little knowledge about the tool at first, she has been able to inform and educate our team on the tool and all of its cool features. We really enjoy the "stream" feature and love the reports that NUVI creates. The dashboards for each monitor is also very easy and friendly to use. Sentiment can be very inaccurate which reflects poorly in our reports but we've learned that this can be easily corrected. We have a specific way of reporting to our clients and NUVI doesn't include all the basic metrics such as follower growth and top performing posts so we still need to use other tools to pull that information. NUVI is helping our team build insightful social strategy and content plans using in-depth, data-driven analytics and real-time social listening. "Great tool for social intelligence"
We've been using Nuvi for over a year now and it's become a central tool in our social intelligence and social relationship management strategies for clients. We find it invaluable as a contributor to building our Account Based Marketing programs and delivering critical information in a timely fashion for our clients, their influencers and competitors activity. The main difficulty we have experienced has revolved around the building of monitors and the filtering process to ensure we're getting the right information being monitored. Part of this has to do with the narrower targeting we undertake as a B2B agency. We also have found the level of activity of companies and individuals in this space in Australia can be quite small. To address this, for us it would be helpful if we could have greater capabilities with LinkedIn. Take advantage of the Nuvi team to help implement and keep your service optimised. They work hard to help get it right. As an intelligence tool it's helping to keep our clients informed of activity associated with the brands and products, so this becomes critical in giving them information that is timely and has currency. As a planning tool, it's been incredibly beneficial in developing our content strategies as well as impacting on SEO/SEM through keeping us informed of topics and phrases that are in use. "Solid Baseline Listening & Insights"
The STREAM view of all mentions is SO actionable. It really let's you hone in on what is most important, what needs attention and how it fits into the larger equation. Also the pricing is amazing and VERY flexible - love the low barrier of entry and ability to throttle and grow with our client base. Getting the right keywords combinations and syntax + structure can be tough, especially when you are trying to be lean and focused with the number of mentions you are processing each month. The good news is, their team is there to help you craft those and they are very forgiving on temporary overages. If you need a solid listening platform at a flexible price point. Start with NUVI. Streamlined community management, Weekly social platform snapshot emails, audience insights (currently testing their Facebook Topic Data tool), and monthly reporting visualizations + trends. Also new business pitches! "NUVI - wasn't a great fit for us"
NUVI generated a LOT of data, and it was available in an interesting graphic format. Sometimes difficult to use, not great for engagement, half the time sentiment indicators were incorrect (it would often flag words like "don't" as negative), and it was often slow. Be aware that NUVI offers very deep, yet narrow data. If you're looking for social listening but don't really need lots of engagement tools, then you'll probably do fine. However, one thing to take into account is that the Sentiment data can sometimes be misleading, and you'll have to take a close look at the data points to make sure they're not being misinterpreted (i.e. - words like "don't" were often listed as negative by the system). We have actually stopped using NUV because it just wasn't doing what we needed it to. YMMV. "Great tool. Helps cover a majority of our needs. " I like that you can specifically customize your monitor. LeRoy, our rep at NUVI, has also been a huge help. Not only is he available for us at all times, but he consistently reaches out to show us new features, tricks and tips, and even helps with any client work directly. There is no way to indicate a certain word or phrase as negative in set-up, thus resulting in an inaccurate reading and often a lot of time in having to manually change every "negative" mention to neutral or positive. In addition, there are also only a few mentions that NUVI can house per hour. A bit of a let down should your brand have a major spike in a short timeframe. Great tool for all social needs. Social listening component is as good as it can get and provides you with all the customization functionality you could use. All data is also organized beautifully. Analytics are great. Customizable reports are easy to develop and include geography analytics, mention volume and insights, share of voice, influencer insight, etc. I also appreciate the ease of content publishing, allowing me to manage all my clients content in one dashboard. Social listening and content publishing. It provides great insight into conversations about the brand/client and organizes all of that well. Being able to schedule content for multiple clients in one area is also a huge time saver. "Useful tool for monitoring brand and industry terms, as well as the people who are using them"
It's great at visualizing mentions of the brand/industry terms you've chosen to monitor, as well as information on the people who are using those terms. Automated email reports also help save time vs manually compiling and sending them. We haven't yet used the Facebook Audience analysis feature (costs extra), but it looks very useful. Monitors only pull in mentions of terms, and only from the time of creation (non-historical). Good to use at the beginning of a campaign, but if you want to see what people have been saying historically before the creation of a monitor (a la Topsy), then unfortunately you're out of luck. We were trying to get a better handle on volume of brand mentions and better identifying when influencers used these terms. Simply pulling searches into a column/feed flattens your inbound messages; you don't see where spikes occur. With NUVI, you can visualize when high points happened and drill down and figure out why. "GREAT FOR LISTENING, NOT BUILT FOR ENGAGING"
NUVI provides a great platform for listening. If you need/want to track any mentions of your brand, competitors, or industry terms across the web, NUVI can find it. The reports also look great and are easy to send out to your team to see results from your efforts. There's not an easy way to take action on mentions that come in and lacks on the engagement factor. Replying to comments and messages would often take us out of the NUVI platform and take extra time to reply/engage. Make sure you're committed. The minimum commitment is one year. Tracking mentions across channels to see reach and impressions of the brand. We found instances where the brand was talked about more in cities that we had recently been in for an event. Brand mentions/followers were also higher in those cities/states where we had had a physical presence. This helped confirm with data that what we were doing was making a positive impact on the brand. The information regarding mentions, reach, and spread are easily shown in reports and graphs that can be downloaded. Most social media platforms included which allows us to find all needed info in one spot. The system is a bit clunky, with selections that don't save right away and have to be redone and an interface that could be cleaned up a bit on the back end. Would also be great if there was a raw data or numbers reports you could download. We need one central place to track our social media engagement across our company and competitors and identify major influencers. While no LinkedIn data is available (seems to be a privacy issue LI has with its API) we have all other social info in one spot. "Monitoring Tool With Great Visual Data"
Nuvi allows us to monitor our brand and displays the data in a visually appealing and easy to understand way. We are able to monitor any and all keywords we choose and also get data specific to our and our competitor's social media pages via the Monitors tab. I have gained a lot of insight from analyzing the data our social media pages produce via the channels tab. Nuvi also allows us to use their audience tab to gain valuable insights via Facebook Topic Data. I would like to see more interpretive functionality. Currently, I can use Nuvi to dig into the data, but it doesn't provide much interpretation of that data. Looking for a good monitoring tool with excellent data visualization? NUVI is a great, low cost choice. We were looking for a tool that would allow us to monitor our brand, our competitors and the industry on social media sites. Nuvi gives that information in a great visual format. We have been able to respond to those talking about us on social and that has improved our customer service. Additionally, we have gained insights from our competitors and industry monitors, allowing us to make better marketing decisions. "An easy to use exciting product"
Nuvi is easy to use once you get used to it and this is only our first month but already we have found interesting data. The support has been excellent and our account manager is always quick to respond and helpful. She was very helpful in the set up process which is what made Nuvi such an easy product to use. Even though we are based in Australia and Nuvi are in the USA, she works hours that are compatible with Australia. It's a shame that 'Monitors' comprises mostly of Twitter and that Facebook is shown through audiences. it would be great if these two platforms were aggregated in one dashboard / one report. There are limitations with Audiences due to Facebook's stipulations on privacy and amending their content. Particularly not being able to edit the sentiment analysis as it has often been incorrect due to words being misinterpreted. Make use of the excellent support. I had trouble setting up my search terms and making them valuabkle at first and the support really helped. Using Nuvi has helped us identify key themes that our stakeholders and community are talking about and then to use those insights to create engaging content. We have also discovered users discussing our business whom we would not have otherwise known about. This helps put us on the front foot with a few issues. The IDEA of it is great, does it work as well as they sell you on? If you are a HUGE business, sure it might, but not without a lot of work to decipher all their graphs, skim through activity one grueling minute at a time, and click on hundreds to thousands of bubbles INDIVIDUALLY to engage with people. If you are a small company, forget it. This service will be a complete waste of money. Not to mention they will say whatever they need to to trick you into a contract and then bind you to it for an entire year. If you want more work on your plate, take this on. If your company is small, DO NOT use this service. Make sure you are aware they lock you into a one year contract so they can ensure they get your money, not because this service will be useful to you or your business. "Most incredible experience with a software company, TO DATE!" Amber, my sensational, informative, creative, personable, business savvy Nuvi rep. I cannot express how great the customer service is at this company. With me from the very start, having a Nuvi rep by my side has made a huge difference in my understanding of the product as a whole. Not only have I been able to create intuitive, specific monitors, but the leads we found helped us build our entire community. High fives, all around. What a truly fantastic product, with an even better team of people leading the way. Frankly, nothing. I pitched Nuvi as part of my social strategy to get a new job, and it's totally what I have to thank for the contract I just signed this week. Nuvi for the win, folks. Finding our community. Listening to the conversation about our product, and identifying how we can best become a part of that conversation, in a manner that leads to increased app downloads and increased sales. "Great product for events and organizations!" The Search function isn't as simple as I would hope it to be - I've had times were we have tried to search for a specific item in relation to the monitor and keywords and nothing has come up. May need some more practice, but that is one of my least favorite parts of NUVI. Other than that, no complaints really. A few bugs here and there, but the customer service at NUVI in impeccable and Amberlyn is always ready to hop on a call and screen share should I have any major questions! Great product for events and organizations. Definitely something you can help use to build your online community and fan engagement even more. We have been able to reach members of our online community that we never knew existed in the past. As mentioned, we are a 20-day event - one of the largest of our kind and a more than 80 year history. With the growth of the social media era, there has been a large struggle to get the overall brand of our event embedded into the minds of our fans as RODEOHOUSTON, most call us Houston Rodeo or HLSR. NUVI has helped us reach fans that may not tag us properly in posts or who have issues relating to our event, and not only reach them but communicate and problem solve as well. This is a great product for large scale businesses, events and organizations, however I would recommend it for anyone looking to build a strong online community to engage with customers and fans on a personal level. "Great opportunity for students to gain practical experience with social media monitoring & analysis"
I think NUVI's visualizations and ease of use are the things I like the most. I've had two different 300-level college classes use NUVI as part of a semester long assignment, and the ease with which students are able to use NUVI is definitely helpful. I think the visualizations are not only appealing to the eye, but also convey complex information very quickly. I do like the sentiment analysis and think it is a helpful tool; however, I view it as a blunt instrument. It doesn't understand thinks like sarcasm or nuance. For example, one of the first tweets I sent about NUVI said something like "I'm fired up to see NUVI in action" and, if I remember right, the tweet was categorized as negative, likely because of the word fired. However, if we look at that tweet it clearly is positive in nature. So, sentiment analysis needs work but is helpful when we don't put too much stock in the positive/negative/neutral breakdown. I've been happy with NUVI and they are always quick to respond to questions or problems. I've used NUVI in my 300-level Organizational Communication class as part of a semester long project. Students pick an organization (within a few restrictions) that they will monitor through NUVI. Students write a report on what they find, linking some of those findings with class content. I think this provides students with practical experience engaging in social media analysis and that is something cool to talk about during a internship or job interview. "AWESOME listening and monitoring tool!" The search function can be a bit frustrating when you enter keywords and nothing comes up, but it isn't that big of a deal to where it takes away from the overall experience. Try it! It is honestly a great tool - especially if you're a large company with a lot of smaller entities. NUVI has truly helped us stay aware of what's happening within our company (on the Internet). We're the parent company of over 30 divisions, and a lot of times it's hard to be on top of what each division is doing in its community. With NUVI pulling mentions from all over the Internet, it has become drastically easier to keep track of community relations involving our divisions. Our senior management appreciates it, too! NUVI is an application that our team utilizes almost on a daily basis. We are constantly developing our client’s influencer programs and NUVI allows us to have a finger on the pulse of what is being said about of our clients – importantly who is saying it. This is a great tool for identifying our “brand champions” and major influencers on social media channels for reports on our monthly impressions that we send to our clients. We appreciate how easy it is to find those influencers without the struggle of scrolling through what seems like endless timelines. Not only is the interface user-friendly, but if we ever have any questions our NUVI representative is always there to offer insight. We are working in to involve our entire team in using this social media monitoring and our NUVI rep has done a great job in explaining the monitors and report generator, our team feels comfortable in navigating the platform. There really isn't much to dislike, we are constantly updating our monitors to ensure that we are not pulling unnecessary post into our monthly cap and making sure that we word each phrase correctly. But that is something that our rep has joined us on a conference call, multiple times, to format each phrase. We are in search of major influencers online who are already talking and posting about our clients. NUVI is has given a quick solution and identifying those individuals, seeing their positive/negative reaction, and contacting them for any future projects. "Probably the most cost-effective social monitoring and engagement tool available right now"
Beautifully visualises complex data via an easy to use interface. Makes creating social media monitoring and analysis reports very easy. Highly scalable for multiple monitoring clients, without increasing cost. Support has always been excellent, with regular client meetings and a genuine interest in improving the product. Lack of live local support - we're in Australia but there's no support in our timezone. There can be a slight lag between monitoring data being pulled through to report data. Give it a go - it's a clever mix of analytical power and a highly useable interface. Nuvi has been an invaluable tool for us to provide clients with real-time monitoring solutions, and early warning alerts. With a broad range of clients, being able to set up 'accounts' for each one within Nuvi has been an efficient way of servicing lots of companies from one platform. I've been connected with the platform for almost a year now and I wouldn't recommend anything else. The platform is easy to use and the support staff is incredible. My NUVI rep is always there to answer questions I have. The graphics are great and helpful when providing my team with the monthly report. I'm constantly under the Channels and Publishing monitors. The Channel's monitor allows us to see into the accounts to fully understand our engagement, timing of posts and what's popular. The Publishing monitor is comprehensive and allows me to publish to all of my accounts. Uploading content is simple and the scheduling feature is great. The platforms I'm monitoring are all supported so I don't have to leave the dashboard to use another platform. Social media is constantly changing and NUVI is always adapting, which I appreciate. The only thing I would like the platform to do is to pull clicks from Facebook to show the full engagement numbers. We are trying to grow our fan base and engagement on all platforms and to do that we've utilized the Channels monitor specifically to see the break down of our posts. We're able to see what's working and what's not, which is helpful with content creation. "Great Tool for Social Seeding Strategies"
The tool is very useful and anything I don't like is very minor and doesn't distract from the overall experience. The only feature i would have liked to see is the ability to put a cap on total impression captured as some times i just want to get a small snapshot for a potential client. This is a powerful reputation management. It also is very useful in finding qualified people to reach out to on social networks. The amount of man hours this saves is tremendous. I estimate to manually capture the kind of information Nuvi provides would require at least 120 hours a week. Social seeding. We use this tool to find people that we can reach out to on social networks and interact. These people are generally product enthusiast. We also use this during events to see how our brands are being mentioned and how we can reach out to them. I love the dark colors of the website and charts. It's visually pleasing, while also providing a lot of value. Additionally, the report building feature is very nice and saves time compared to some other tools that I have used in the past. When setting up a monitor, the keywords can be a bit difficult to get used to - especially if you are used to Boolean logic. Monitoring social mentions on a daily/monthly basis and also keeping a close eye on the conversation as part of crisis communication efforts. "An intuitive visually stunning social listening solution"
Years worth of history of all our social accounts is available within seconds in an easy to use interface with great visual analytics all for a very competitive price. Being a Data warehouse manager, I would like to have direct API access to export results as a data feed so I can more easily mash up social and internal data. Great entry point to start your social listening journey. It has most of the commonly used features as the big players in the market without the big price tag. I can manage our multiple social media accounts from the 1 platform. Thanks to NUVI I was able to identify a direct correlation between Facebook engagement and the revenue generated at some of our events, this has enhanced the way we communicate and allowed us to be more responsive to our customer needs. "Solid Social Insights & Monitoring Solution"
The user interface is by far the most user friendly. Compared to most competitors, NUVI is easy to learn, set up, and extract value from. The platform is visually impressive, helping support visuals in reports. Also, their automatic reporting is very advanced and ability to customize these reports saves time when reporting social initiatives. Their customer service is also a huge point of distinction. Jessica, our account manager, is always proactive in communicating updates and very reactive to any and all questions, training requests and helping troubleshoot. Their reporting tools don't cover all basic metrics, for example they still have yet to incorporate impressions figures from Twitter. Because of this, we still go into each social media's analytics to get a complete picture that we can incorporate back into the report. Would also love to see integration with Google Analytics, something we've been wanting for a while. NUVI does not search retroactively, except via Twitter which is an add on service. Be sure to preempt setting up monitors to ensure you capture all relevant data. Also, now that Facebook has blocked personally identifiable information from being monitored, consider adding on Facebook's Audience Data, which is another add on service NUVI provides (NUVI is one of a handful of Facebook partners offering this service). We've used NUVI to address a variety of needs including, but not limited to online monitoring and listening for clients (brand name, product line, spokesperson keyword mentions), identifying and engaging with social media influencers, support for crisis communications, reporting around client's social media profiles (Facebook, Twitter, Instagram), and event/conference support and reporting impact. I like that NUVI was very easy to use(create a search, set alert, do research-took time). It was easy to set up an alert to send outside of your own organization. The graphics/images were above industry standard. There is an executive feel to reports that you are proud to present to a client. NUVI doesn't have access to that many social networks. So if you are only looking at crawling Twitter, Facebook, Instagram, Tumblr then it is great. Historical searches take time. They are not done instantly like Radian6, Sysomos or Facegroup. NUVI is a great place to start if you are looking for a more powerful tool than what is free on the market. They have awesome graphics for submitting reports and can dive deep into the information you are looking at. If you participate on more than the big four social networks then you will want to look at other companies as you are missing a big piece of the growing social networks voices. Looking to find companies that were looking to purchase various products and connect them with potential buyers. With the lack of networks and Facebook API restrictions this proved harder than expected. "NUVI: A Comprehensive Social Media Tool!" We are a market research and strategy company. We have been NUVI customers for about 2 years now and are extremely satisfied with NUVI. We use NUVI for 3 primary areas: Social media brand promotional campaign tracking, competitor brand tracking, and front-end social media data collection. We really like how NUVI is able to track hashtags, influencers, and key words across various social networks. NUVI can also compare monitors side by side, which is helpful when comparing brands and topics. To execute comparisons, NUVI graphs out all activity during any time frame you select, which allows you to see trends and peak activity. It is great that NUVI also allows us to see comments in real-time as they are posted. Additionally, if we need to gather data from the past, NUVI allows us to do a 30 day back pull for additional insight at no additional cost. NUVI then allows us to download the social media comments we gathered into Excel csv files for easy analysis. As a research company, we require everything we do to be accurate and precise. NUVI uses Boolean logic and allows us to program social monitors in a way where we can refine the noise and maximize our efforts in gathering quality social media data. We find the NUVI team to be very helpful, smart, and friendly. The staff goes out of their way each week to make sure that we have what we need. The NUVI sentiment tool we find is not very accurate. Secondly, NUVI no longer captures Facebook data. NUVI used to be an all inclusive package, but now offers Facebook monitoring under a new service extension at an additional cost. NUVI is a great value. Just make sure you do your research to verify that NUVI is going to work for your needs. We find that our clients struggle with going deeper and beyond the surface “vanity metrics” that most software and social media services provide. We find that the NUVI tool/service is great for front end social media data collection. "Social Listening For a Modern Age"
The software has so many functions that help you to listen to your social audience as well as it gives you the ability to see how your audiences are working with your brand in a very visual way. I didn't really like the support offered by the company. I felt like they always were trying to sell me on the brand and wanted me to invest more. Definitely check out the trial and make sure this is the right fit for you and your company before biting off the hefty price tag. I use Nuvi to manage all social listening for client's and for our own brand. Being able to actually see the visuals of the social accounts have been very helpful to gage how well your message is being accepted and shared and engaged. "Start LISTENING to your audience with Nuvi"
Nuvi's interface is simple to use, and you can create detailed reports to share with your team at the click of a button. Their customer service has always been stellar (I've been with them for 3 years after switching from Radian6), and they've walked me through every step of learning the platform and discovering new capabilities. There isn't an easy way to calculate share of voice in Nuvi (the way you can in Radian6), but there are other creative ways of showing competitor information. Give Nuvi a try - you won't be disappointed! We needed full tracking and monitoring for 3 channels, and Nuvi has provided that real-time feedback for us. We needed a way to report on the success of our efforts, and Nuvi reports have given us a clear picture of how we're doing and ways to improve month over month. "The world's leading Social Media Monitoring, scheduling and analytics tool on the market"
Coming from the Agency side, we get to roadtest a lot of these types of tools. What I really like about Nuvi is the extraordinary UI. When you first log in to some of these monitoring platforms, you are often bombarded with information. Nuvi has set up the features and functionality in a way that makes using the product a breeze. Setting up campaign monitoring, Social media management or deeper understanding about Facebook Topics reporting, Nuvi has it covered. Possibly one of the best all round products I have seen on the market. Not much, but what I would like is to automate a few of the features. Ideally, if you can filter campaigns in categories by client, or client specific features in EVEN more detail, this would help. I understand that you are limited to the data that you can pull from these networks, but if you can find a way to target in even more detail, that would be great. Mind you, this is not a dislike, more of a suggestion because you can currently dig very deep and pin point campaigns, I would just like even more targeting. It's an amazing tool, don't fall behind in the industry. We can monitor our clients campaigns on levels that have never been realized from the traditional media channels and analytics. For an out of home campaign, traditionally you would know how many eyeballs have seen your ad, and approximately a demographic breakdown based on the location of the ad. With Nuvi, you can set parameters in place that help you drill down to the street level and monitor feedback and social sentiment around your advertising. This product is truly breaking ground on the advertising industry. If you are not using it, you are not serving your clients. The variety of data available in the downloadable reports is great. The reports are really well designed and easy to generate, offering a snapshot to internal and external stakeholders in a matter of minutes. It would be great to have a folder structure for filing away old monitors - at the moment they're all listed alphabetically which can get a bit unwieldy when you've got quite a few in the systems. Definitely worth trying if you're looking for social media monitoring software. There are lots of tools out there for publishing and basic reporting, but this is the best i've come across for monitoring and detailed analytics. This is the first time we've able to generate detailed reports on social media engagement of a particular topic, piece of content or hashtag. "NUVI - Amazing Social Media Monitoring Tool"
I've been using the platform for about a year and I'm not sure how I ever did my job without it! The software is intuitive and easy to use. My client success manager Shaela is a customer service rock star. She is always available to answer questions or provide guidance or smart suggestions. The channel monitors are visually impressive and allow insights I've not been able to get on other platforms. The reporting features save me a lot of time and stress. This isn't a dislike but a suggestion - I'd love to see the ability to monitor review type sites such as Yelp and TripAdvisor. We've used NUVI to address a variety of needs for our clients. From monitoring chatter about brands to gathering social insights about their channels, or monitoring their competition, NUVI has become a daily use tool. "Terrible Interface. Hard to Read"
Did like the influencer feature. However, I only used NUVI for a year. Of that contract I only used 5-10 times because every time I logged into the software, the interface was hard to read and the items it was found for us was irrelevant. The interface was not easy to use. It was super hard to read, and the onboarding was not helpful in the least. The user only worked with me once, and it was loud because you could hear other reps in the background. Be aware that the interface is very hard to read. Also, it is hard to delete that extra sound that does not have to do with your buiness. Social media monitoring and also individuals who were "influencers" in our business. I do not feel this was solved. Did not solve the problem of social media monitoring for our products. Always for finding irrelevant items like "drinking lean" and also "foam dart." I t was very hard to read and not worthwhile spend. If the interface was cleaner and more user-friendly, I think I would like Nuvi better. "The social monitoring tool marketers crave"
NUVI makes it easy to measure the reach and impact of our social media marketing strategy. No more sifting through multiple platforms. One location. One beautiful dashboard. NUVI provides filters so you can measure social conversations that are relevant to your brand. There are instances where irrelevant mentions appear within our monitor, but the filter allows you to block future mentions from those users in the future. People flock to social media to rant, vent and express their feelings about brands. We wanted to ensure we were capturing those conversations so we can monitor our brand, and jump in from a customer service standpoint to ensure the best user experience with our brand. We've been able to track both positive and negative social conversations, and help find resolutions to those experiencing issues with our brand. "Excellent Social Media BigData Analytics and Visualization Engine"
Comprehensive Social Media Analytics Engine for understanding global or localized sentiment in different languages pulled from the Top 10 social media site and over 4M RSS feeds. Facebook APIs have been terminated and a separate service must be purchased to gain direct Facebook intelligence. However, the action is more related to Facebook’s business decision and a work-around has been devised by NUVI. Get fully trained by the knowledgeable and professional customer account Reps. Try several Monitors to understand the nuances of the BigData analytics engine, situational awareness dashboards and the report generation mechanisms. Ability to provide social media profile of an individual for Federal Agencies to conduct background check. Nuvi's platform is very UI friendly and easy to navigate. Some of the data looks skewed at a high level, largely because it doesn't report on Facebook social metrics. Make sure to take advantage of all of their customer support when it comes to integration and real life use of the product. We use Nuvi to measure our share of voice compared to our competitors, and love to see how well our campaigns are being received. The social listening and social sentiment tools are invaluable. I am aware of what people are saying when they talk about our brand. I can react and respond quickly and engage folks about my brand. The training has been invaluable to us. The customer service is top notch. NUVI ensures that clients know how to use the product. There is no link shortening when publishing. I also would like NUVI to monitor anonymous apps. I would highly recommend using NUVI for any social listening, social monitoring or social anayltics. The company is phenomenal to work with. We need to engage folks more on social media and reinforce our brand advocates. We are seeing where we need to fill the holes accross all official university platforms. "Great Service for Universities and Athletic Departments"
Honestly, after nearly a year of using NUVI, there are a ton that we like. From a software perspective, it allows us to do so much more with our social media than we could ever consider before. The reports alone are worth the investment because it gives us real-time information on our clients. It has also allowed our corporate sales team to put real numbers behind their reports, generating more revenue for our department. Our sales rep Ana also keeps us up-to-date on the latest changes going on and has been a great resource for asking software questions or just being a help if we get stuck. She has helped us create specific monitors that will allow us to better engage our fans in the future, allowing us to work smarter rather than harder. Honestly, nothing. If we had dislikes, we would probably look elsewhere, but instead we are getting ready for a second year with NUVI. I would definitely recommend University and Athletic Departments give it a try, I do not think they will be disappointed. Our biggest problem is figuring out how to reach our fans and alumni with the types of messages that they want. Our other problem is that without having a social media team, but rather one or two people, how can we respond 24/7. The NUVI technology has allowed us to see who are our most influential people are and never miss a chance to engage with them. NUVI has also allowed us to increase sales and bring in more revenue than we were able to before. The real-time analytics. The easy to digest visuals. The ability to monitor conversations in the moment and participate. Our customer service rep. It puts me in the driver seat as a digital marketing expert to develop meaningful goals and objectives. I wish I could bulk load social media posts for planned content. I would then drop Hootsuite. The platform can seem overwhelming at first until you cut ties with your old programs and just jump in. Take the time to have a tour! Ask them about flexible get started plans. It allows me to understand what the market is doing and how our campaigns are performing. It positions us as a leader in the digital space. It separates agencies from small businesses and consultants. I appreciate that it helps to organize scheduling. I can better work with my customers to organize upcoming events. I also appreciate that I receive customized notifications as developments occur. I don't like that there isn't a trial period. Though this software turned out to work well for me, if it hadn't, I would be stuck with a software that I didn't like and that I already paid for. If there isn't a trial period, then there must be a refund policy. Nuvi is helping me optimize social media content and target customers effectively by using data-driven analytics. I have a better understanding of my customer base and can better understand my potential customer base as well. Combines visuals and data into one dashboard that our entire team can use. The reporting tool has been handy when providing data to other members of our team and clients. Positive experience so far! We have used NUVI in a variety of situations and it has exceeded expectations so far. We experimented with a number of tools before deciding on NUVI. It combines data with visuals and the reporting tool is a big bonus. We use NUVI to monitor social media activity as it relates to our clients. It's also a great tool for content marketing (discovering new content ideas, measuring the impact of what we create, etc.). We've also been able to use it for some experimentation and trend discovery. * We monitor all NUVI reviews to prevent fraudulent reviews and keep review quality high. We do not post reviews by company employees or direct competitors. Validated reviews require the user to submit a screenshot of the product containing their user ID, in order to verify a user is an actual user of the product. Hi there! Are you looking to implement a solution like NUVI?